Coach Helmer’s answer to the question of what could bring results was his proposals to divert funding from interscholastic football and use it for a new athletics complex with fields, baseball diamonds, and a track “so that we can give outdoor work to every student in school.” Furthermore, he suggested that new sports be added to the curricular and extra-curricular offerings. 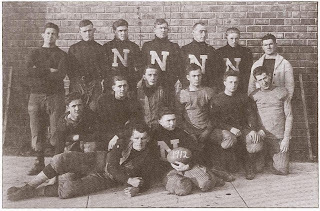 There would be a course in “Rugby football” and Central would start interscholastic and intramural “soccer football,” which they heard was becoming a popular game throughout the country. American football would still be offered to Central students, but only inter-class competitions. From the 1912 football squad, only one player opted to join the soccer team in the fall of 1913 – Archie Leonard. This may have been because students were only at Central for a limited time and many of the previous year’s football team had already left campus with their teaching credentials or it could have been because of a lack of interest. Either way, Coach Helmer’s report in November of 1914 indicates that the addition of soccer was enjoyed by Central students, at least in an inter-class competition context. There is no evidence that the Central soccer team ever engaged in an interscholastic competition with another team. Central State Normal Soccer Team, 1913. The football hiatus lasted only three years and the sport returned in 1916. The first few years back were filled with losses and the schedule featured many high school teams, which were both reasons cited by Coach Helmer for originally dropping football. 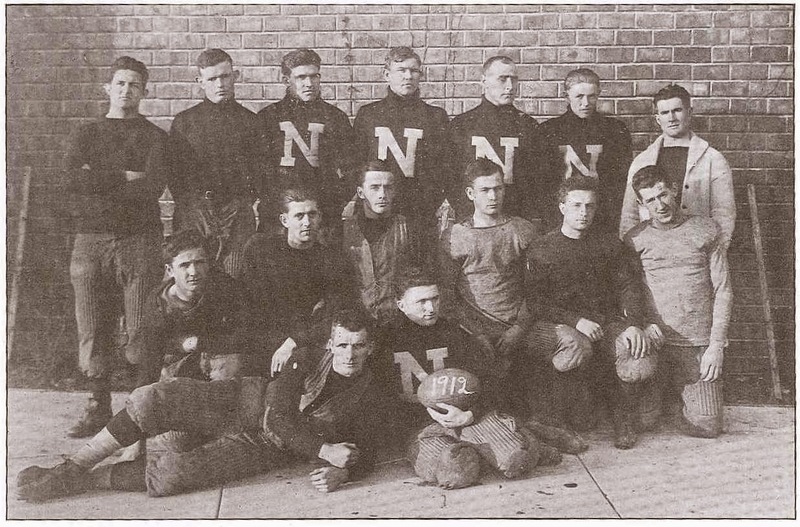 However, by 1920 Central found its gridiron groove and football became a hallmark of autumn in Mount Pleasant. Over the years, Central football teams have had great success including winning nine Interstate Intercollegiate Athletics Conference championships, seven Mid-American Conference championships, the Division II National Championship (1974), seven Bowl appearances, and most recently, seeing a CMU student-athlete picked number one in the NFL Draft.